Hello there! FINALLY! Time for my first blog. I’ll try to dial down my excitement a little (it’s very hard to control, trust me) but I’ve been waiting for this for the longest time. I had an urge to share all the things I love which is why I started with this blog. You can find a variety of articles ranging from Fashion/Beauty tips, Travel blogs, Food reviews and more. I’m an 18 year old staying in Mumbai. Just like other girls, I love dressing up. Fashion is something that is always on my mind. And traveling. And pizza. And puppies. You see where this is going? Ha-Ha. Anyway, I believe that the way you dress and present yourself, you can not only make the first impression right, but also make yourself a little more confident in life. Dressing up necessarily doesn’t have to be loud and obsessive. You should feel comfortable in what you’re wearing. Speaking about my love for traveling, it started to bloom after my first solo trip at the age 17 and has been growing ever since. My free time includes watching movies, TV shows, reading fashion/travel blogs, watching tons of YouTube videos, brainstorm ideas for my blog and so on. 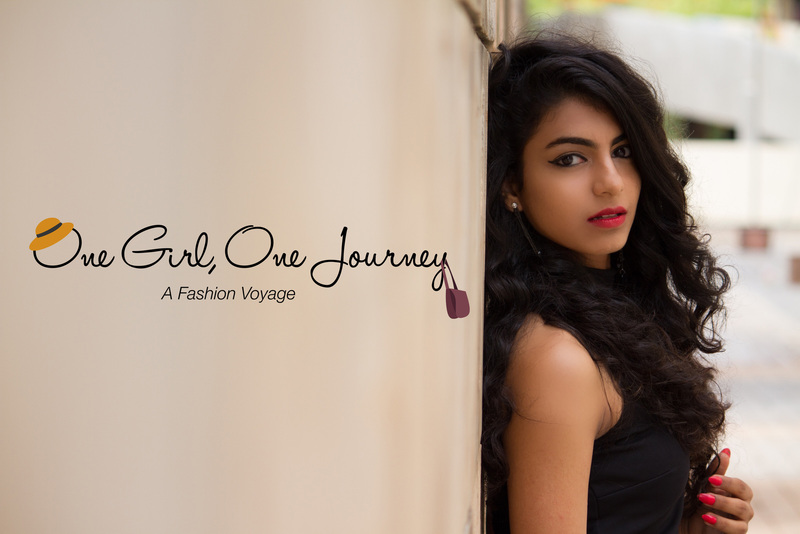 One Girl, One Journey is my way of showing my love for fashion and traveling. I appreciate each and every one of you taking time to read my post. I hope my content inspires you in some way. Since you all know that I am new to the blogging world, please feel free to write your suggestions down below in the comment section. Totally waiting for what is going to come up on this space. Many Congratulations! It’s so amazing to see you do what you wanted! The little time I’ve known you, tells me you’re going to make a mark. Here’s hoping that this journey never ends yet you reach where you’re destined for. Your time to soar into the greater skies… All the best! Thank you so much for encouraging! Means so much. 🙂 Hugs. All the best wishes and supports are with you. Thank you so much. Means a lot! Thank you, Hope you like my upcoming blogs! Awesome blog.. May u achieve all the success u need n yeah excited for ur upcoming blogs. Best wishes to u keep it going..
That’s really sweet!Thank you so much. Hope you like my upcoming blogs. Ur pics and blogs are the best among this recent bloggers I m following….. Way 2 go….